Join with your friends and neighbors on July 4! Again this year, CHRS will celebrate Independence Day by fielding a contingent in the Capitol Hill Parade. 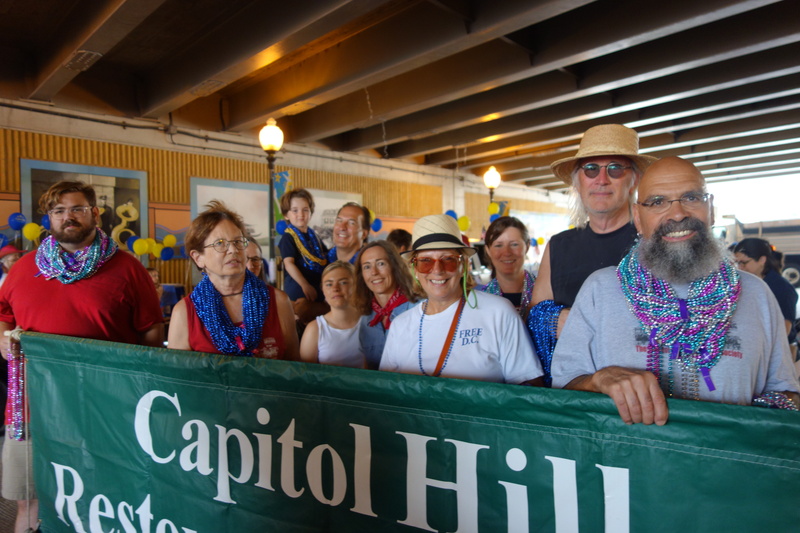 We’ll carry the CHRS banner and toss Mardis Gras beads into the crowd. The route begins at the I-295/395 overpass (at 8th and I Streets SE) and ends at the Eastern Market Metro Plaza. The parade starts at 10 a.m. and will take one hour from start to finish. If you would like to participate, contact Elizabeth Nelson, elizabeth_knits@ yahoo.com—or just show up a half- hour in advance and find our crew. It’s a lot of fun!